Hospitals have nearly $459 billion in unearned revenue since 2000. Diseases are generally very expensive to treat, and in tandem with the rising costs of medication and healthcare, it becomes imperative for healthcare companies to collect their revenues. Some diseases affect nearly 1 million people per year in the United States and cost around $30 billion to treat. It is essential that hospitals find ways to estimate the risks of each patient to diseases and assess which patients are in dire need of treatment and which are not in order to save money and space. Using a patient’s health data, vital signs and other real time information, there are now algorithms that can do this. The market is young, however it is predicted that the market for healthcare analytics could reach $21 billion by 2020. To read more about these algorithms, please click here. 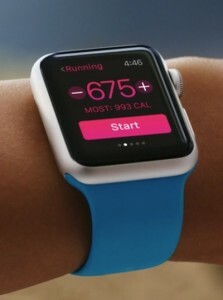 An Apple Watch – A Wearable Technology device to be released this year. According to an ON World Survey, 35% of American adults plan on purchasing and using a wearable technology device and using it for activity tracking. Wearable device sales increased by 2% from last year, notably smart watch sales, which are projected to increase following the release of the Apple watch. In addition, a 7% increase of adults surveyed (39% up from 32% in 2014) planned to buy a dedicated activity tracking device in an attempt to become healthier. ON World reported that an estimated 700 million wearable technology devices will be shipped worldwide in the next 5 years, creating a $47 billion market. This opens the door for healthcare providers to create apps that can be used on wearable technology devices to better monitor the user’s health and potentially gather data on the patient to help better treat them in the future. For more information about the ON World survey, please click here. GE recently released the newest addition to the Voluson family of ultrasound scanners, the Voluson E10. This new technology can now see babies in the womb with detail. The Voluson E10 can be used to obtain images of the baby’s blood vessels, heart, brain and other organs that show depth and structure in a way that helps provide the tiny details desired. Ultrasounds are very important because then enable healthcare providers to check the baby’s health: this is the moment when diagnoses are made and treatment can be done in order to prevent any potential diseases or issues the baby may have pre-birth. 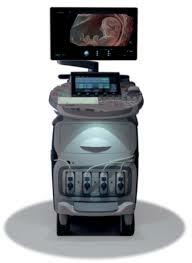 This technology can help can be a very powerful tool to prevent pre-birth issues. For more information about the Voluson E10, please click here. Treatment for Multiple Sclerosis is advancing, and the next steps are to finalize oral therapies, and personalize treatment for the disease. Clinical results for new oral therapies will soon give us more information about their efficacy in the long term and which patients can benefit most from each drug and which patients are most at risk for developing serious side effects. Continued research and a growing body of knowledge has led to the development of the potent oral therapies that have been commercialized recently and is paving the way for the discovery of a treatment that can actually stop the autoimmune process and cure Multiple Sclerosis. For more information about how Precision Medicine can improve treatments for Multiple Sclerosis, click here. For more information about how Precision Medicine, click here. For a link to Part I of the June 2015 Healthcare trends article, click here. Please follow us on twitter @HCRSourcing!